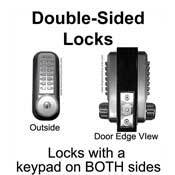 If you have a pool, shed, tennis court or barn door to secure, a mechanical keypad combination door lock is a great choice because it is durable and weatherproof—with a lifetime warranty to prove it—as well as economical and easy to install/use. 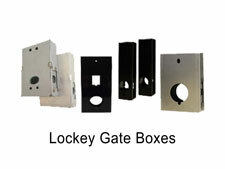 We also carry a full line of custom gate boxes so you can easily install one of our keyless locks on a metal gate. It is almost always cheaper to use a pre-built a gate box than to have one built from scratch and the quality is better, too! 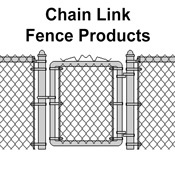 Have your fence company weld one of these onto your gate, then powder coat everything at once. 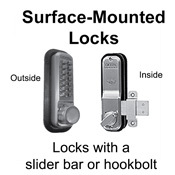 It will create the perfect mounting platform and look sleek and professional. 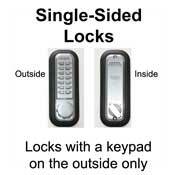 Like all our mechanical locks, mechanical keypad combination door locks come in a wide variety of finishes to match almost any decor. 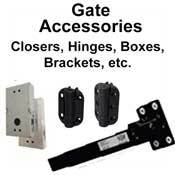 Click below to choose the type of outdoor gate lock you want. 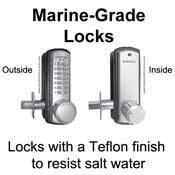 Then you'll be able to view individual gate, shed, and pool locks, see the available finishes for each one, and place your order.